The Joker origin movie has finally been giving an official plot synopsis. Up to this point, the studio has been relatively quiet when it comes to the details on this particular project. In the world of DC Comics, the Joker has always had something of an ill-defined origin story in order to help keep the mystery surrounding the character alive. That's going to change with this movie and, based on this plot synopsis, it sounds like there could be quite a few surprises in store. The synopsis reads as follows. "Joker centers around the iconic arch-nemesis and is an original, standalone story not seen before on the big screen. The exploration of Arthur Fleck (Joaquin Phoenix), a man disregarded by society, is not only a gritty character study, but also a broader cautionary tale." Previously, a brief logline had been released which largely mirrors what is being revealed in this synopsis which, ultimately, isn't all that telling. What is being promised is a story DC fans have never seen on the big screen previously. 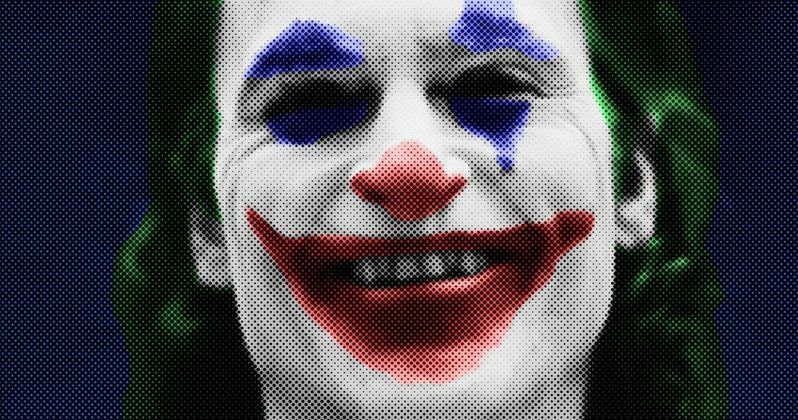 While Heath Ledger's performance as the character in The Dark Knight is seen as the definitive take on the Joker up to this point, that movie almost went out of its way to avoid the villain's origin story. The synopsis also makes a point that this is a "standalone story." As previously revealed, Joker won't be connected to the current live-action DC movie universe, which includes movies like Suicide Squad, Wonder Woman and Justice League. That means Jared Leto's version of the Clown Prince of Crime will exist alongside the version we're going to get from Joaquin Phoenix. There are even plans for a different solo movie starring Leto's Joker. Though, we haven't had any official updates on that front from the studio. Todd Phillips (The Hangover) is directing the movie, which has been filming since September. The hope is that this will be the first movie released under a new to-be-named label at Warner Bros. created to tell DC stories that exist outside of the continuity that's already been established. Joker will also carry a much more modest production budget, when compared to other comic book movies, of around $50 million. That minimizes the risk associated with tackling such an unconventional project. But if it pans out, it also increases the chance for maximum profit, which is ultimately how things worked out for Fox with Deadpool. Love or hate the overall idea of giving perhaps the greatest villain in comic book history a definitive origin story, it's hard not to look at this as perhaps the most interesting comic book movie in the works right now. The cast also includes Zazie Beetz, Bill Camp, Frances Conroy, Brett Cullen, Glenn Fleshler, Douglas Hodge, Marc Maron, Josh Pais, Dante Pereira-Olson, Shea Whigham and Oscar-winner Robert De Niro. Cullen is set to play Thomas Wayne, while Pereira-Olson will portray a young Bruce Wayne, the man who ultimately goes on to become Batman, with Hodge on board as Alfred Pennyworth. Warner Bros. Is set to release Joker in theaters on October 4, 2019.